The weather is cold and you'll likely run into snow, but if you're prepared and have packed appropriately, you can still enjoy December in Canada, whether you're looking for city walking or lots of outdoor activities. Regardless of Canada's geographic diversity, December is generally very cold. Expect highs in most places to hover around freezing (32 degrees Fahrenheit, 9 degrees Celsius) and lows to dip far below. Cities like Toronto are often freezing, with abundant snow, while the West Coast enjoys a more mild climate, with Vancouver, Victoria, and other coastal cities getting little or no snow. Most events in Canada in December are—not suprisingly–related to Christmas. If you love Christmas markets and other seasonal celebrations, you're in luck. December 25, Christmas, is a statutory holiday across Canada so expect most things to be closed. December 26, or Boxing Day, is a statutory holiday in Ontario, Quebec, New Brunswick, Nova Scotia, PEI, and Newfoundland & Labrador for government and most industries other than retail. Boxing Day sales on the days following Christmas are the biggest shopping days in Canada much like the day after Thanksgiving in the U.S. The Whistler Film Festival usually wraps up in early December. This event includes screenings of nearly 100 films, live music, and lectures by Canada's top filmmakers. Vancouver's incredible Festival of Lights includes more than 1 million lights and transforms the city's botanical garden into an incredible display. The event runs through early January. Calgary's Heritage Park celebrates Christmas with "Once Upon a Christmas," an incredible recreation of what Christmas was like for residents in the mid-19th century. The event includes wagon rides, carolers, baked treats, and more. Toronto's annual Christmas Market is held in the city's Distillery District. The experience includes food vendors, beer gardens, and plenty of local vendors selling their crafts. Ottawa's Parliament Hill is home to an impressive lights display each year, including an astounding light show at sundown. The scene is projected onto Centre Block and the Peace Tower. Quebec's Nöel Dans Le Parc is a series of three different Christmas villages spread across La Belle Ville. There are plenty of Christmas lights, cozy cabins, and holiday snacks. December 24 is a major travel day and airports throughout the country will be congested. Just because it's cold doesn't mean that Canadian hole up indoors! 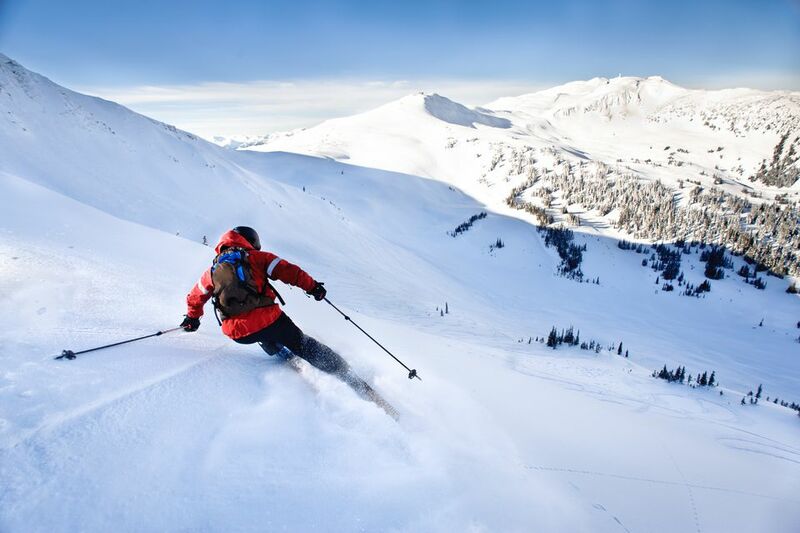 Take part in one of the many outdoor activities that the country participates in, including downhill skiing, cross-country skiing, snowshoeing, and ice skating. Canada has world-class skiing, which is in full swing by the time December rolls around. Top resorts include Whistler in British Columbia and Mont-Tremblant in Quebec. Want to know more amount visiting Canada? Check out our guide to the best time to visit Canada.